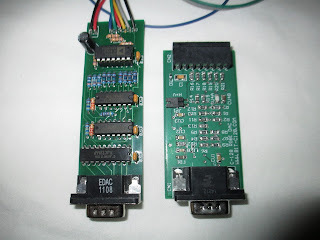 To settle some questions about the two devices, here are some photos of the older, no-longer-produced C128 Video DAC from Richard Goedeken of Fascination Software and the current C128 VGA adapter from John Carlsen of BIT-C128.com. 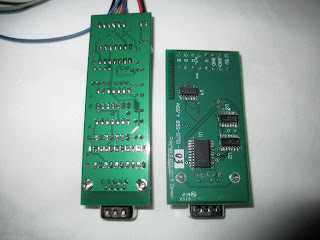 You can see that the Video DAC is longer and thinner when compared to the VGA adapter. 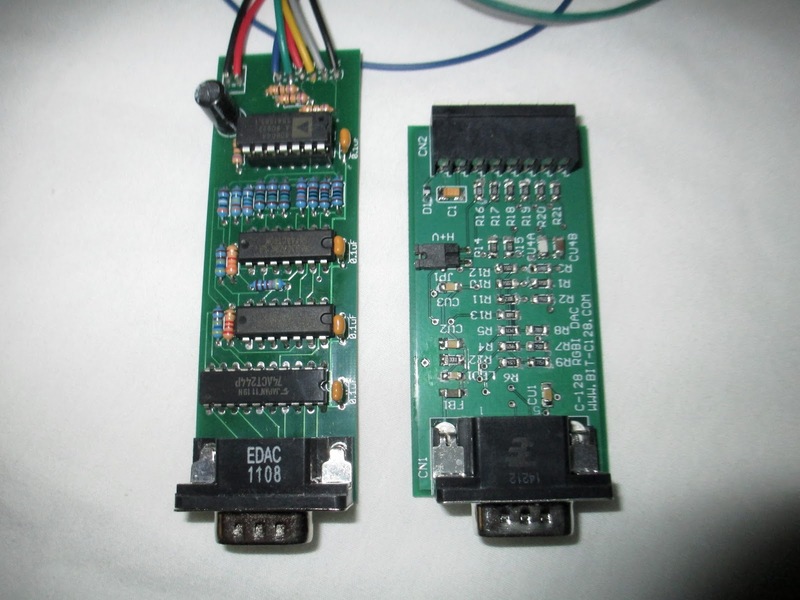 The Video DAC has soldered-on wires to connect to the GBS-8220 for 80-column viewing on a VGA monitor; the VGA adapter has a wire block into which you insert the wires. The VGA adapter uses surface-mounted parts with its chips mounted on the underside.